What does concern me is simply the dismissive tone you take here about activists and about the very idea of transformative political work, and your belief that you and you alone care about or relate to "low-information voters".??? Misrepresenting someone's views and commenting on what you perceive to be their attitude?is personal. I treat people as they treat me. I have repeatedly stated that I consider all social progress? to date to be due to activists. Something you choose to ignore. Activists work best outside of politics. If the environmental movement endorsed a political party, even the Greens, it would weaken the movement.? ?and your belief that you and you alone care about or relate to "low-information voters".??? Wrong again. It isn't about caring it's about gaining the support of. If the left as a whole were relating to low information voters (most last minute swing votes) they would be winning more elections.? ?veryone on the Left is on the side of the ordinary working class folks you appear to have a special understanding of.? A lot of us ARE ordinary working class folks.?? You are not a low-information voter. If?it is the left who cares about the working class while the right exploits them given the results?I'd say the left has a severe communication problem.?
? ?open to the possibility that the rest of us might also have some awareness of normal, daily life-that we are just as much part of ordinary daily life as you are.? Most? people are part of ordinary daily life and come into contact?with people from all walks of life. That doesn't mean they relate equally well to all of them. I would say that is very rare.? ?I'm choosing to take a couple of weeks to avoid responding to your posts,?? In case you are puzzled?it is our last exchange that so offends me. The last word in this exchange is yours if you want it. After that I hope you never respond directly to my posts and in return?I will refrain from?responding to yours.? If you disagree with any ideas or arguments in my posts it is possible to?express your perspective on whatever issue it is without referring directly or otherwise to my post or me if you so choose.? ?Apartheid-Zionism is racism. Perhaps they're not progressive. I get the feeling sometimes that "honest criticism" of the party leader is just just one more swipe on behalf of those who weren't elected leader.? It's easy to say "they'd have been better/preferable/more popular" when there's no way to reasonably say whether they'd have been better/preferable/more popular. "We wouldn't be in this mess if only everyone had voted like I did!? We could have a REAL LEADER!!!" How about "We wouldn't be in this mess if the leader we have was actually willing to get out there and fight for something, to stand for something!? We wouldn't be in a mess if the leader we have started ignoring the party insiders who keep saying 'Stay The Course!? Say Nothing DO Nothing!' "
Well said. The Weir affair is unfortunate. I don't think there was any good way to navigate that which I imagine is why the rest of caucus has been utterly silent to the point that Angus and Mulcair didn't even defend themselves.? Singh is not the second coming of Trudeau despite their superficial commonalities. Having said that they have used the same political tactic of keeping their cards close to the chest. The alternative would be promoting NDP policy in advance of the election period in the hopes of persuading people in the intervening time. I'm sure that too can be successful depending on the political landscape. There must be many examples of it. I don't know which approach would be the most successful. I do know that the tactic worked very well for Trudeau. Coming into the election in 3rd place with low expectations benefited him. I don't know if it will work out the same for Singh (to a far lessor degree) but it is possible.? He seems to be listening to Guy Caron. I hope that will lead to an excellent solidly costed platform. This will be the first election in which the Parliamentary Budget Officer passes judgement on the platform's financial feasibility. That will have a big impact on public opinion.? Singh is facing a very different political landscape. 2015 was a change election based on Harper being long in the tooth. Trudeau will be facing only his second mandate. He's made gaffs but overall I don't think there is anything horrendous to point to. Many Canadians, even in BC, support the pipeline. That will only matter to Alberta and BC. Trudeau is in a very strong position for 2019.? I think REB has a lot of potential but it is too soon. It's possible other candidates would have done better than Singh has but it is by no means a given.? Wow. I'm impressed that you are so up on Singh's calendar.?? There is a fifth estate special on Singh on right now.? To Ken, Lagatta and I are no longer permitted to address each other directly. I would prefer?to have the same arrangement with you.? The fact is, the NDP is handling things exactly on the lines you prescribe-continuing to suspend internal democracy and keep policy-making in the hands of a few dismissive, cynical insiders.? given that this has the party at a level of support virtually guaranteed to cause a massive loss in seats in 2019.? Why DO you keep doubling-down on an approach that has so far brought nothing but failure? ?? You are too ignorant to say anything about my views. Stick to expressing your own.? I don't need other people to express my opinion on my behalf. I can do it myself. If someone wants? to challenge my ideas?they are welcome to. They don't have to speak for me in order to do that.? I especially don't need a man to express my opinions.? If I were a moderator I would give?orders not make requests.? When Legatta asked that I not be permitted to respond to her posts you granted it. I did not ask you to to make anything official. I asked Ken directly not to address me.?? I?have zero expectation of fair treatment from you.? ?You look for and use any excuse to go after me. I wouldn't say it if I had any hope of ever being treated fairly by you but I don't so there is no point in diplomacy.? Requesting that Ken not address me, is not against policy.? I will only state, for whoever wishes to hear it, that my reponses to Pondering's posts have never, at any time, pertained to Pondering's gender.? I would have responded in exactly the same way to the posts in question no matter the identity of the poster.? I am not that poster's oppressor and have no issue with that poster as a human being, and wish her peace and safety. It was solely about the arguments made and the merits of those arguments, and the tone in which they were made-all of which are fair game.? Pondering has every right to her views and the rest of us have the right to respond to them in any respectful manner possible.? She is not a victim in any of these discussions and this is simply a message board in which she posts under a pseudonym. ? I saw this this morning as well.??? She'd been in the job 9 months.?? Ah well, fingers crossed that the next great reset is a good one. But no, it's always everyone else who is the problem, never?you.? Your last sentence could apply to you. ?Posters who have been here for years should know better than to contact you when another poster is not breaking policy. Why don’t they? Not sure they're afraid.? It's more that they lose a lot of advantages if they DO call it-the moment Singh gets into the House, he gains stature and it becomes that much more difficult for the Liberals so pretend that they are the ONLY option for progressive voters.? That's why they would have stalled ANY byelection Singh tried to contest, unless it was in a seat where they felt it was likely they could defeat him-if he said he wanted to stand in Outremont, Justin would have dropped the writ there INSTANTLY. On the other hand the Conservatives desperately want to beat Jagmeet in this by-election. . That way the NDP can get a better NDP leader to go up against Trudeau in 2019. Thus split the vote on the left and let the Conservative candidates come up the middle in dozens of ridings across Canada.? Cullen would not have a chance. Megan Leslie would have a chance.? Except that, with no Liberal candidate in the Burnaby South race, there's no chance of actually beating Singh there.? There's no way you'd have the people who voted Liberal in 2015 vote Conservative as a bloc (a bloc, not THE Bloc, for anyone rolling any possible bits of geographically nonsensical wordplay around in their minds), so there's no way you'd actually have a Con pickup in the byelection. There's an element of them wanting to keep Singh in stasis, but they wouldn't pass up the chance to both beat him and further the narrative of NDP collapse in Quebec by forcing an instant byelection in Outremont.? They'd be all over that in a heartbeat and you know it. As far as I know Leslie isn't running. I don't think Cullen would make a good leader. I think Singh is being unfairly judged by people who didn't want him to win and see him as a link in the chain from Layton to Mulcair to him in the sense of the party being too?centrist. I understand that Singh signed on a lot of new members and some people think that distorted the vote, but even if it did members did not coalesce around an obvious alternative. Cullen has been around a long time. I don't see him doing any better than Singh.? I am constantly reminded of all the comments about Trudeau having no policy and being "not ready" during the years leading up to the election because he mainly kept his head down.? I feel that even if Singh proposes progressive policies nothing will be enough. Everyone is so fixated on how terrible he is he would have to be the second coming of Christ for people to admit he might be more progressive than Mulcair and might have some good ideas.? Maybe the people criticizing Singh are correct and he is a dud but I think everyone?should see his platform and his performance in the debates before making that determination.? Singh has taken a lot of flack for doing what he had to do and did with the full support of the entire caucus which I believe includes Cullen and all the other leadership contenders.? 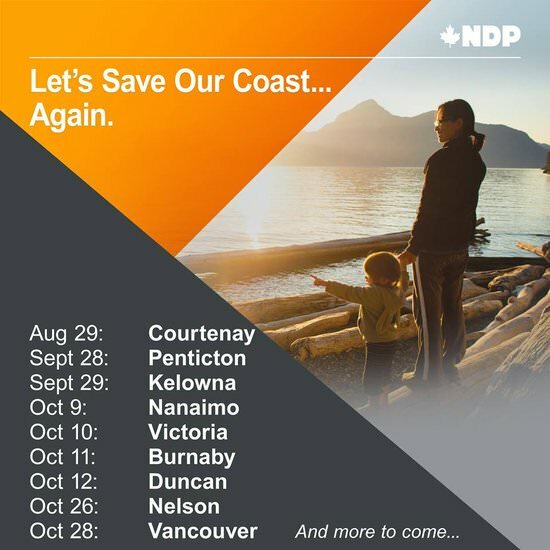 If given the chose between I go Leslie, Cullen was the mastermind behind the idea of merging NDP with? Liberals.? If that to affect we would no leftist party in Canada.? That leaves the communist on left, even I would be declined to dubble with the communist.? I do not understand how modern country would have no party of the left. Without the NDP somebody would have to start of the left party because there is giant space on the left. It is highly unlikely that Singh would or will lose in Burnaby therefore no reason for the NDP to dump him.? It is more likely they just don't want to give him air time. If the NDP want to get rid of Singh they don't need an excuse. They could force him out if he didn't have the support of caucus or the administration. The membership elected him. A?few disgruntled members on a messageboard?is no reason to dump a leader.? The NDP switching leaders now would not help them in the next election unless they found someone more popular and appealing than Trudeau. That isn't Cullen nor any other obvious leadership contender. If either of the QS spokespeople were available that would be different. Right now, there is no one new on the horizon.? Only when he was first elected. It was pretty much downhill from there after the first year and it was his name that attracted support not his behavior. He entered the political arena when Harper was reaching his best before date to the extent that even the NDP made it to first place, under Mulcair, for awhile. The election was Trudeau's to lose and the same goes for this one even though there is some ammunition now that the Liberals have been in for a few years.? Even so Trudeau is almost guaranteed another majority because he is still in his first term and Scheer is boring. The NDP has never won a federal election and has only been strong when the Liberals are weak which is probably why they think they have to be Liberal lite to win.? So they look at each issue in a pragmatic, non-polarized way. They crave a more sensible, down-to-earth, less bombastic pitch.? They don’t want their cost of living to go up, but they worry about climate change and think if you don’t like carbon taxes you should at least have another idea that could work. ?They may not be happy about owning a pipeline but worry that the economy will take too big a hit if we try to shift off oil too quickly. These voters are well within the reach of opposition parties, but base-rallying messages aren’t going to close the deal. While party membership rolls include a lot of people with a left-leaning or right-leaning world view, Canadians are generally?suspicious of hardened ideology. Across Canada, 89 per cent of Canadians believe the country works best “by finding middle ground and compromise,” and 92 per cent of Persuadables feel this way. I've been saying this for years. Moderates decide the election. Voters want pragmatic parties. The Canadian electorate is socially liberal and economically conservative. That is why the Conservatives try to stay away from social issues like gay marriage and abortion and stick to "tough on crime" type stuff that appeals to the base and is tolerated by the centre.? I don't think that means the NDP has to move to the centre economically but it has to present solutions pragmatically not ideologically or emotionally and not based on chopping up the electorate into special interest groups.? When addressing voters the NDP has to forget about left right and centre and influencing people ideologically?and instead think of pragmatic economic solutions that are easily defended.? Denouncing social ills will get the NDP nowhere.? When addressing voters the NDP has to forget about left right and centre and influencing people ideologically?and instead think of pragmatic economic solutions that are easily defended. He doesn't necessarily need to propose specific policies.? But he does need to get out there and give people a clear, visceral sense, in broadstrokes, of whose side the party is on.? He needs to make a clear and decisive break with the party's traditional obsession with "respectability"-an obsession that has never gained the party anything, really. ? And why NOT be a peace party?? People who still think it's a good idea for Canadian troops to be intervening militarily in the Arab/Muslim world are not going to be big supporters of single-payer, or want the labor movement strengthened, or want an environmentally sustainable future.? People who are still hawks are not going to have a vision of a just, democratic, progressive future in their hearts.? They're lost to us-and fortunately, they're aren't enough of them for the party to bother appeasing.? Most Canadians don't want their kids coming home in boxes covered with the Maple Leaf after dying in what everyone now knows is nothing but a battle for resources.? And if you make the case that getting out of the wars and the fixation with preparing for wars can free up resources for a better future at home, a future that makes the lives of the folks who go to Tim Horton's every morning. ? People who want things to stay as they are are never going to vote for anybody but the Cons or the Libs.? Why not just accept that and focus on making nonvoters into voters, on forming alliances between the low-information voters and the low-hope voters-many of whom are the same people? It doesn't have to be about policy...but there does need to be a passionate vision.? Without that, what can a party like the NDP achieve at all?? It doesn't have to be about policy...but there does need to be a passionate vision.? Without that, what can a party like the NDP achieve at all? That would be a big help.? Show up, in a flannel shirt and jeans at times, and be there to LISTEN. ? ?He doesn't necessarily need to propose specific policies.? But he does need to get out there and give people a clear, visceral sense, in broadstrokes, of whose side the party is on.? He needs to make a clear and decisive break with the party's traditional obsession with "respectability"-an obsession that has never gained the party anything, really.? I'm not sure what you mean by "respectability" other than being conventional, promising no deficits, basically being as much like the Liberals that they can be while still differentiating themselves in some manner. On that I think we agree and there are some hints that Singh is moving at least somewhat left. He picked a side on Transmountain and chose Burnaby to run in. He's going to make it an election issue. He has called for the decriminalization of all drug use which Uraguay has led the way on. I bet he knows his numbers. I think he is being as under-estimated as Trudeau was. Singh isn't wasting his time anymore than Trudeau did.?? Is it asking too much for the man to display an awareness of the class and identity divides, to give a real sense that, while the Liberals and Conservatives will be the party of the comfortable and dominant, the NDP would be the voice of the voiceless, would truly have a vision of a different world in their minds??? ?And why NOT be a peace party?? People who still think it's a good idea for Canadian troops to be intervening militarily in the Arab/Muslim world are not going to be big supporters of single-payer, or want the labor movement strengthened, or want an environmentally sustainable future. That is so not true. Many Canadians are proud of our peacekeepers and believe it is our duty to do our part in the world if only for diplomatic reasons. Others don't feel qualified to judge because foreign affairs are complex.?
? ?People who are still hawks are not going to have a vision of a just, democratic, progressive future in their hearts.? They're lost to us-and fortunately, they're aren't enough of them for the party to bother appeasing.? Most Canadians don't want their kids coming home in boxes covered with the Maple Leaf after dying in what everyone now knows is nothing but a battle for resources.?? "Everyone" does not know any such thing. I would say the majority of Canadians do not know that. They were never given that reason. The average Canadian likely doesn't know where are troops are or what they are doing. If asked they would probably say our troops are fighting terrorists or protecting or training people. You do realize military families and others are proud of their service not ashamed of it. We don't have the draft so Canadian families in general aren't worried. Only those who choose to serve do so.? And if you make the case that getting out of the wars and the fixation with preparing for wars can free up resources for a better future at home, a future that makes the lives of the folks who go to Tim Horton's every morning.??? I'm convinced. I think most people once they thought about it for a minute would say we have obligations. We can't just stop spending. What about NATO and NORAD?? People who want things to stay as they are are never going to vote for anybody but the Cons or the Libs.? Why not just accept that and focus on making nonvoters into voters, on forming alliances between the low-information voters and the low-hope voters-many of whom are the same people?? The grand majority of Canadians want things to basically remain the same. Over 50% of Canadians support Transmountain. 57% of Canadians consider voting Conservative. Most Canadians agree that Canada is a great country that might need a little tweaking but no more than that.? It is up to activists to devise a way to convince the general population of the need for radical change. Political parties in a country as peaceful and wealthy as Canada will never win an election on a radical platform.? None of the troops, from any country, fighting in Afghanistan, Iraq, or anywhere else in the Middle East are "peacekeepers".? There is no such thing as "humanitarian intervention"-there, or anyplace else.? Anytime troops are sent in now, it's about nothing but access to another country's resources for corporate profit. ? And I realize the NDP has never operated as the type of party I described above-has never been a? "the voice of the voiceless" has seldom had "a vision of a different world in their minds",? although Tommy Douglas' "Mouseland" fable did have a visionary quality, expressed in an accessible "children's story" vocabulary...but so what?? Conventionality hasn't WORKED.? It hasn't taken the party above third place-the Orange Wave was not conventionality, was not safety, it was a call to see life differently, it was a validation of the idea that it was legitimate to dream of a different life, even if the short-term program was moderate; in that election, the program was beside the point-so if it hasn't worked, what's the case for staying with what hasn't worked?? Why stay with safe, defensive politics when that approach clearly no longer connects with anyone? The way the NDP strategy is going these days, it's as if the party is a CFL team who has the ball, trailing by fourteen points with four minutes to go in the fourth quarter, and rather than trying to throw long passes into the end zone, has decided to run out the clock. ? And really, what ABOUT NATO and NORAD?? They re part of an outmoded approach to defense.? They were created in the Cold War, when it was believed that "the West" could be the subject to a "Godless Communist" attack at any moment.? We're no longer in that world.? The Soviet Union isn't the Soviet Union, what it is isn't Communist, China isn't by any measure "Communist", and neither is trying to set up anything like a global tyranny.? There is less and less that can actualy be achieved by force; we now know that it isn't possible for military intervention to protect the innocent or end anyone's oppression.? It's only real use is protecting a country's own territory from external military attack, and as 9/11 proved, there are many many ways around conventional defenses. Winning elections is all about building coalitions. I was watching CBC the other day and one pundit said Jagmeet is not only MIA in the House of Commons, but MIA with community activist? groups on the ground. Citing for example the protest against slashing Toronto City Council. Yes, Jagmeet opposed the move. But he was nowhere to be seen during protests, rallys and demonstrations. This would have been a great opportunity for him to insert himself into the conversation, engage people on the ground and get airtime on National Media, To start galvanizing folks to get involved with? the NDP. That is very true...and that is largely because the party's braintrust has seemingly been obsessed with keeping the people who would create that ferment the hell out of the party.? The people who would create that activity within the party have ended up in the social movements instead, where they have been hugely successful in creating widespread popular support for the type of programs and policies the NDP braintrust is determined to keep the party a hundred kilometres away from. As a result, there is massive, vibrant energy and enthusiasm in the social movements and, at present, none in the NDP at all.? And there is no significant group of voters who are rewarding the NDP for being a passion-free zone and a creativity-free zone.